A dark Comedy movie JHOLAY based on some true events. In this movie Priyanka Karki (Kamala) plays the role of a prostitute girl. There is always some reason for the grils to take such profession for living and the film tries to show the positive side of the girls who are working in such professions with additional humor. Click Song title to download the song or right click on the name of the song and "Click Save Target" as or "Save link as". 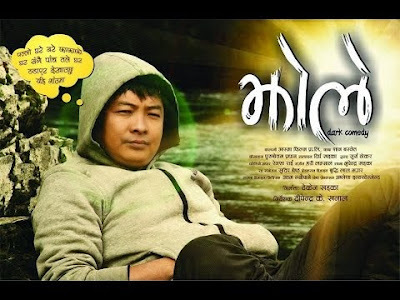 Cast: Daya Hang Rai, Priyanka karki, A. Gurung, Sisir Rana, Shankar Acharya, Madhav Acharya, Prasant Genre: Dark Comedy Written By (Script): Shan Basnyat Cinematography: Purushottam Pradhan Action: Surya Thokkar Music: Hari Lamsal, Anupam Sharma Produced By: Teken Khadka Directed By: Dipendra K. Khanal Production: Asma Films Pvt. Ltd.